When we hire new technicians, they complete extensive ServiceMaster Restore Training, as well as industry-specific certification testing. One of those certifications is administered by the Institute of Inspection, Cleaning and Restoration Certification (IICRC). The IICRC was established in 1972 to set and promote high standards and ethics within the inspection, cleaning and restoration service industries. As a non-profit certification organization, they closely monitor certification programs to uphold the established cleaning and restoration standards. Our technicians follow the precise and strict protocols established by the IICRC to ensure you receive the highest quality service possible. 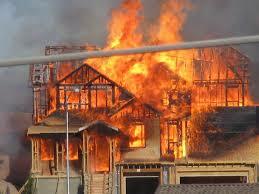 Most house fires are preventable. Following these tips on how to prevent common causes of house fires could save your family and your home.